Mix perfect alginate in 8 seconds! 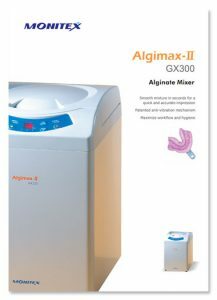 Work with perfectly mixed, bubble-free alginate every time with our brilliant durable little benchtop machine. Designed for use with any alginate or stone, this robust simple device mixes 3 scoops in just 11 seconds with no dust or waste. 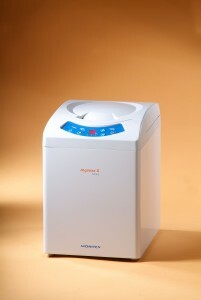 Stylish compact device with high tech micro-processor and 3 pre programmed operations. Includes the following: 4 mixing cups, 1 stirrer, spatula for mixing, magnetic basket and one handed water dosing bottle.